Styes are not contagious. Styes cannot spread infection from one eye to another or from one person to another, whether it be by direct or indirect contact. It’s often believed that a stye is infectious because a person might develop recurring styes in the same eye or in the opposite eye. In fact, it’s common for a person to suffer from multiple eye styes or styes that just seem to happen again and again. But let’s make this clear, eye styes are not able to be transmitted from one eye to another and are neither contagious or infectious. A stye or sty (medical term hordeolum) is an inflamed swelling that occurs on the edge of an eyelid. Styes are usually caused by bacterial infection at the base of an eyelash. Eye styes are also referred to as a chalazion (medical term meibomian gland lipogranuloma). A chalazion is a cyst that forms in the eyelid and caused by inflammation of a blocked meibomian gland. A chalazion can form in the upper eyelid or the lower eyelid. Both styes and chalazions are similar. However, the root cause of a stye is bacterial infection, which leads to gland blockage. The root cause of a chalazion is a blocked meibomian gland. When a meibomian gland becomes blocked, bacteria often gets trapped in the gland, thus causing infection. Styes and chalazions begin as a painful red bump and severe swelling. A white or yellowish pus sac usually becomes visible within 3 to 4 days. The pus sac can often be visible from the inside of the eyelid by peeling the eyelid backwards. Styes can last up to 5 to 7 days. An untreated chalazion can last up to a year. So you’re probably asking yourself the question, ‘if eye styes are not contagious, why do I have a stye in each eye?’. 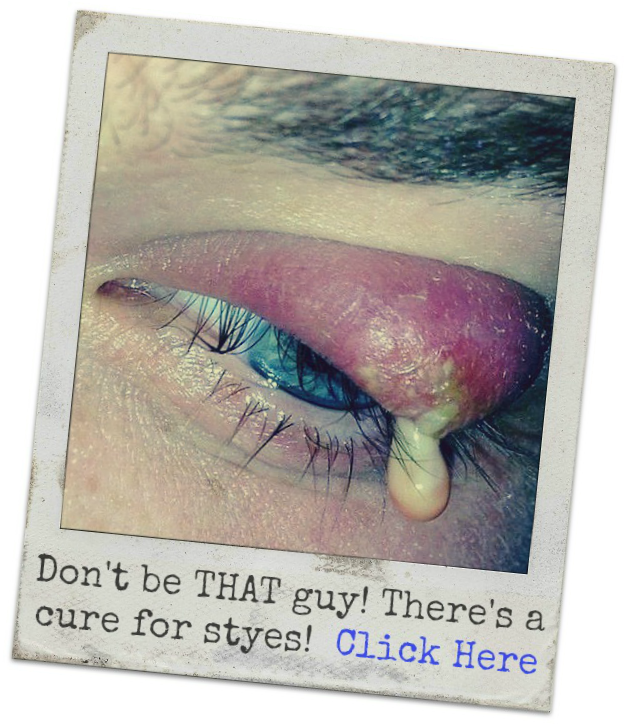 Whether you have one stye in each eye or two styes in the same eye, just remember, styes are not contagious! The reason people develop one stye in each eye, recurring styes, or two styes in the same eye, is because of meibomian gland dysfunction. 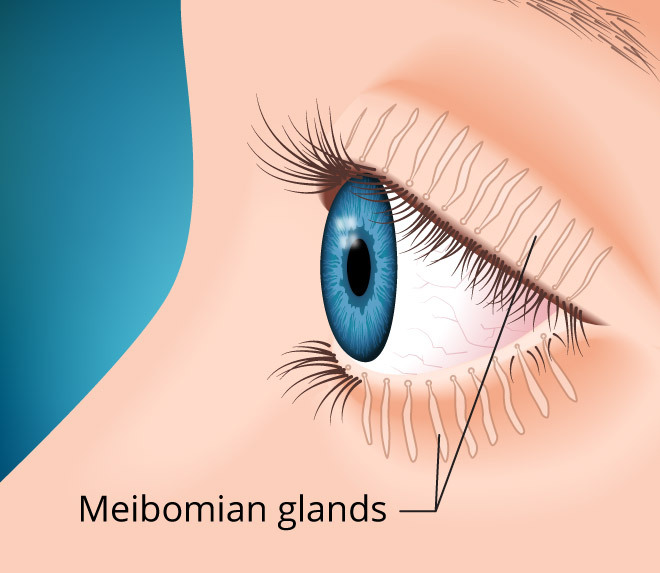 Meibomian gland disfunction is a condition in which the glands in the eyelids experience an abnormality or impairment in the gland function. Now pay close attention, there are roughly 25 to 40 meibomian glands in the upper eyelid and roughly 20 to 30 glands in the lower eyelid. If one gland is dysfunctional, there’s a great chance that all of the glands are dysfunctional. Moreover, if the meibomian glands are dysfunctional in one eye, they will also be dysfunctional in your other eye. Therefore, if you suffer from gland dysfunction, there’s a good chance you will develop recurrent styes or multiple styes. It’s for this reason people believe styes are contagious. Meibomian gland dysfunction, or MGD, can occur for many reasons. It can also be a temporary condition or a permanent one. Meibomian gland dysfunction can also be a result of environmental conditions or hormonal. Meibomian gland dysfunction may also be a hereditary condition. Environmental conditions can cause the meibomian glands to work improperly; e.g. longterm viewing of a computer screen or the usage of certain medications can affect the meibomian in a negative way. Hormonal imbalances is another factor. While there is no cure for meibomian dysfunction, there is a cure for eye styes. This cure will prevent you from ever developing a stye again. One of the key factors to avoid recurring styes is by not rubbing or applying pressure to your eyelids. If you’re experiencing a dysfunctional gland condition, the glands can become easily blocked. For example, if you’re applying a warm compress to a current stye, and your fingertips are resting on your eyelid, the pressure from your fingertips resting on your eyelid can cause aggravation to other meibhomian glands—thus causing a new stye to arise.